600 was delivered new to Trent Buses at the end of 1988, as part of a batch of 12 similar buses. These represented the first investment by the newly privatised company. It is a Volvo D10M chassis, which was a version of Volvo’s popular B10M coach chassis, modified to take double deck bodywork, with low profile tyres and uprated suspension. It is fitted with Alexander R type Double Deck bodywork, seating 47 passengers upstairs, and 37 in the lower saloon. Until 1987 Trent had been part of the National Bus Company, which had been formed in 1968 to take over many previously independent companies. Under this regime, the choice of vehicles and specifications was restricted due to the central buying policy of the NBC. In 1987 Trent was sold to Wellglade, a company formed by the then directors of Trent to buy it from the NBC and run it again as an independent company. This meant that the company could order new buses of the make and specification it required. This continues to this day, Wellglade now own Barton Buses, TM Travel of Sheffield, and KinchBus of Loughborough, and new buses for these companies are bought and specified to a particular route. 600 entered service at Sutton Junction and spent its working life with Trent based there and also here at Hucknall, working routes between Mansfield and Nottingham. During its time with Trent it was repainted from the livery shown above into an Ayres Red and Cream livery, and the seats retrimmed. 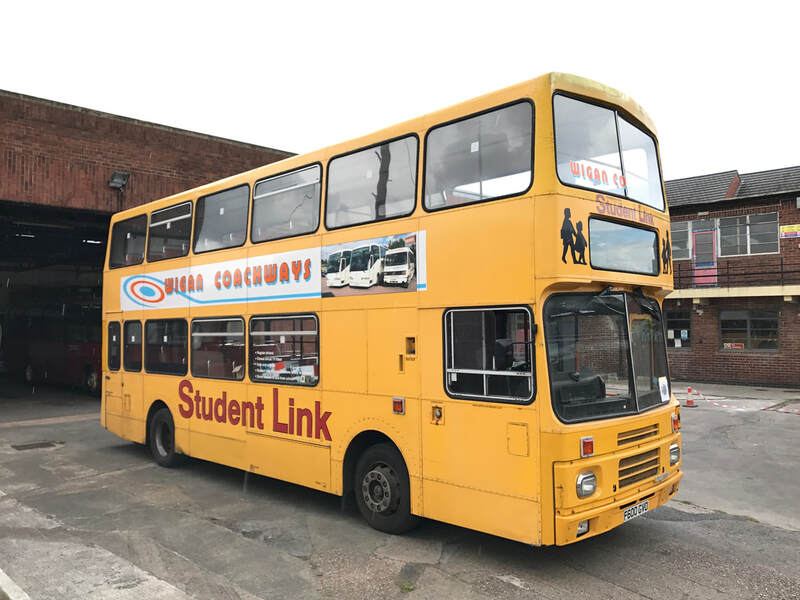 Upon withdrawal, 600 and others of the batch passed to Plymouth Citybus, then Preston Bus, before being acquired by Wigan Coachways, It was bought for preservation by Mark Butler at the end of 2016, and kindly donated to the Charity. 600 has so far had some mechanical work done to it, including renewal of the rear brake drums and linings. It will be repanelled and repainted into the livery which it was first delivered to Trent in 1988. This was the first bus delivered to Trent Buses, which was the trading name of Trent Motor Traction Company Limited, when they were privatised as part of the sale of the National Bus Company.